Men need love and support just like anyone else. To achieve greatness it helps when you have others that believe in you. While striving to become a better man, there are many obstacles that can come in the way. However, together we can infuse positive energy and love into those that need it, and push them to higher levels that benefit them, and our community. Join me for the #MyBlackMan Twitter party on Wednesday June 17th at 8:30 PM ET as we celebrate and discuss how our Black men shine inside and out. 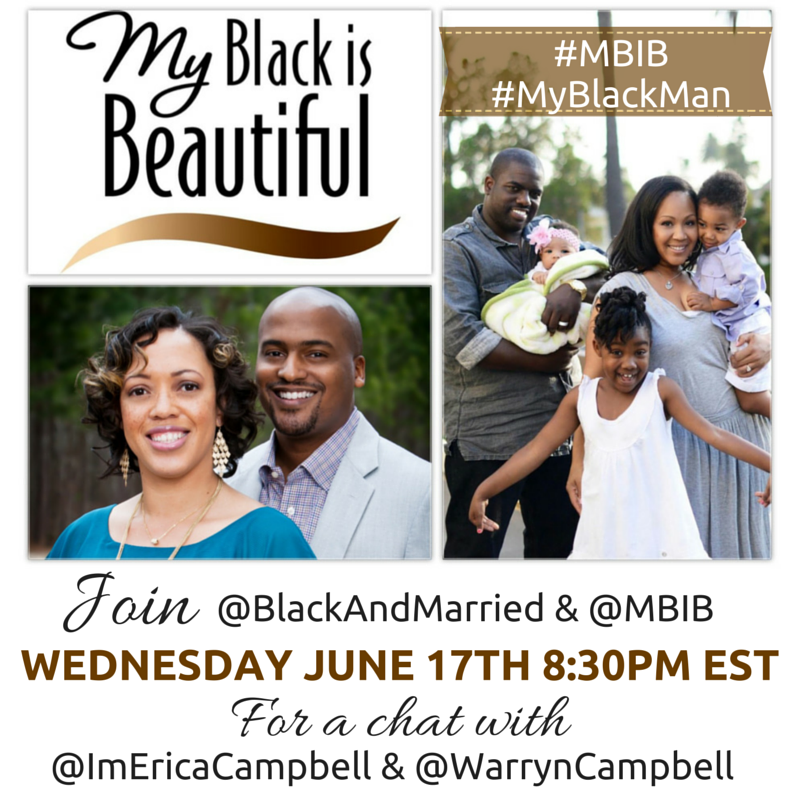 I will be participating in the twitter party with My Black is Beautiful (@MBIB), Black and Married With Kids @blackandmarried, and Eric and Warryn Campbell will be their special guests! Some great friends online will be joining in with tweets, and there will be several great prizes given away!! You don’t want to miss this! Topic: How to improve your relationships with your spouses/mates, friends and families. With support from our community and products from P&G brands like Head & Shoulders, Braun and Crest, men can feel like they are groomed for greatness as they pursue their goals and continue to serve as positive role models for their families.